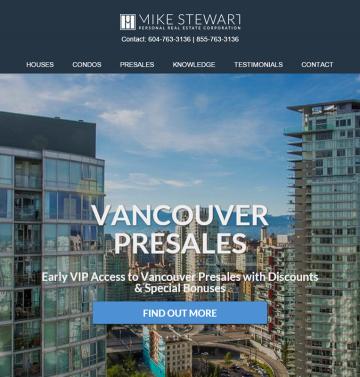 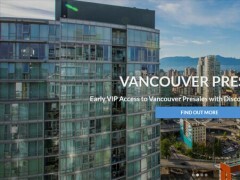 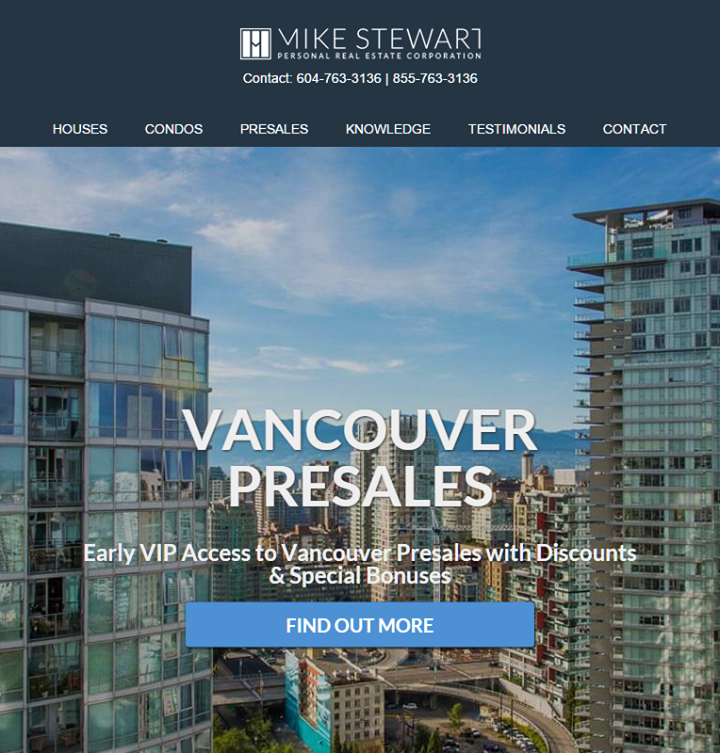 Mike Stewart, Personal Real Estate Corp.
Mike’s professional service, detailed knowledge of Vancouver’s urban property market, and strong real estate marketing skills get his clients the best deal possible whether buying or selling selling real estate in Vancouver. 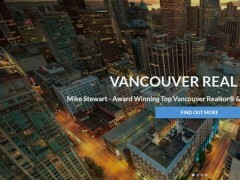 To express this, Mike runs an active blog with a strong video component. 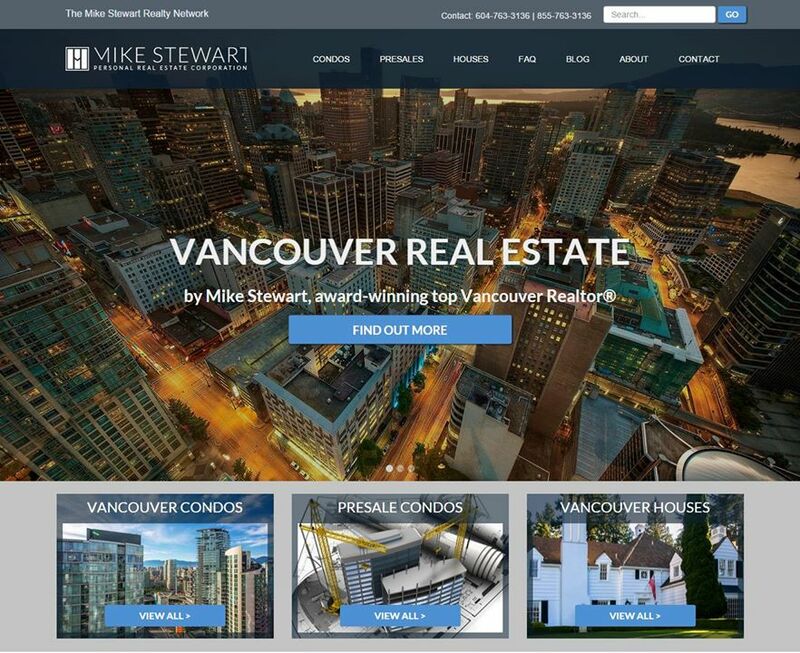 Mike’s main Web site contains an immense amount of rich media and content for the visitor to browse. 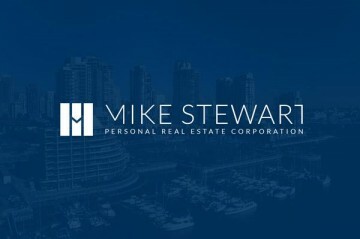 In addition, Mike has commissioned a number of other Web sites for his team members and featured real estate locations. 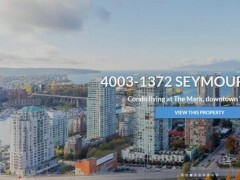 Line49 has established a format for these building-specific Web sites allowing Mike to order a new Web property for a real-world property whenever necessary. 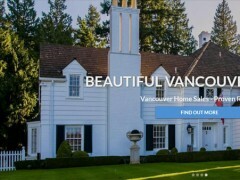 Layout & Design: Full Page Background and Responsive or mobile-friendly web design.